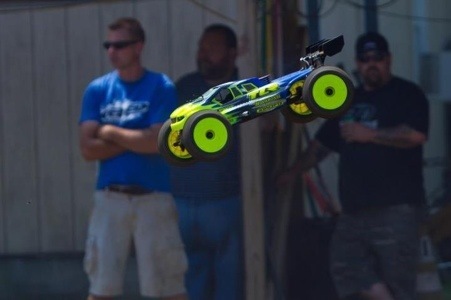 This past weekend CRC raceway in Rome, NY hosted Rd two of the R/C Pro series. The pits were full of 144 racers from all over the country. 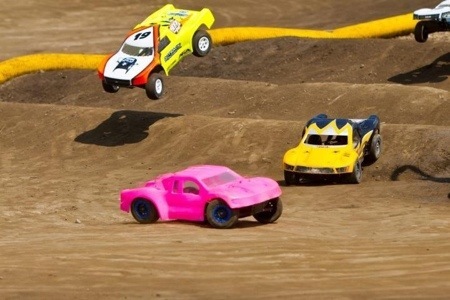 Eighth scale nitro Buggy and Truggy were the two big classes of the weekend. The CRC track was in great shape for the hours of abuse that it was going to take throughout the big event. Frank Calandra and crew always put on great show, with this one being no different. 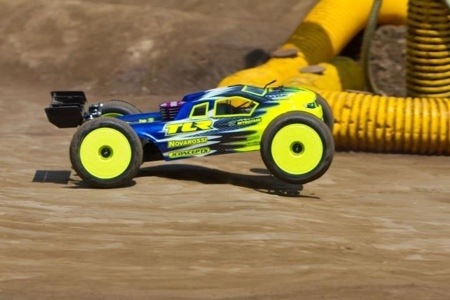 Losi driver Billy Fisher from Arizona was one of the many big guns entered in the two nitro classes. Anthony Mazzara was also present with his always beautiful Losi machines. Saturday was a full day of qualifying, each class running four rounds, setting up the Sunday mains. The SC 4×4 class was one of the more competitive races to watch throughout the two days. Brian Wynn snagged TQ from Cruz Zachary during the third heat race. Then in the last rd. Eventual winner Zach Barry grabbed the second spot just behind Wynn for Sunday’s three main events. The weather Saturday was cloudy with a little bit of rain throughout the day. That rain was a track owners dream, keeping the track moist without having to water between rounds. 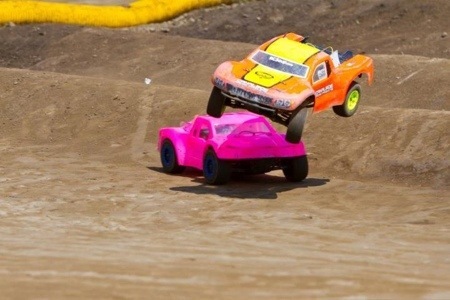 At the end of the day Losi driver Billy Fisher was TQ in both the Buggy and Truggy nitro classes. Sunday’s weather was a complete different story with temps in the mid 80’s and nothing but sunshine for the entire day. The first main to roll off the grid was the first of three mains for the ever-growing SC 4×4’s. Wynn, Barry, and Zachary took off at the sound of the days first horn. The top five trucks battled back and forth for the entire 8 minutes with John ” Whopper” Firsching taking the top spot with Cruz Zachary ( pictured below) close on his bumper. The second main for the SC4x4 was just as exciting with the same guys up front with Barry, and Firsching taking the top two spots. Wynn,and Zachary rounded out the top four. With the points tight after two rounds the last final would prove to be a barn burner. 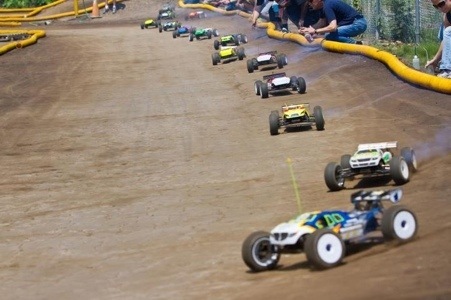 All eyes were on the back stretch for the start of the final main in the SC 4×4 class. Team CRC driver Brian “Dumper” Wynn was in the pole with Barry, Zachary, and Firsching close behind. At the horn the top five jumped out from the pack trying to get a nice lead and duke it out among them selves. Wynn jumped out front with Barry looking for a chance to get by. Zack finally made a move and never looked back leaving the other three to mix it up for second. Zachary,and Whopper put on a charge for Wynn getting by a couple of times but only to give it back settling for third. Jarrodd Goedel and Zachary swapped positions back and forth with Cruz edging out Goedel for the fourth spot and a career best fourth overall. 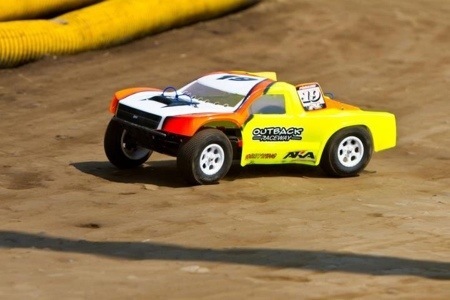 1/8th scale nitro Truggy was the first of the two big nitro classes to take to the track. Billy Fisher and Anthony Mazzaro start on the front row for the 45 min. Main. Fisher wheeled his LOSI Truggy around the CRC layout for 45 miniutes without any pressure from behind. Mazzara Treignier, and Derek Sousa where 2nd, third, and fourth. Mark Calandra brought home a fith place finish for the home town crew. 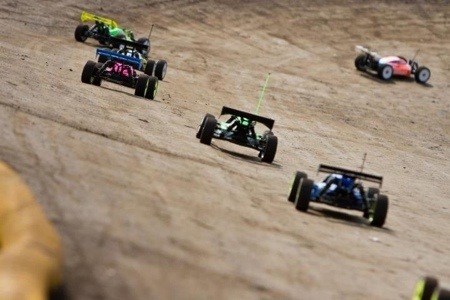 The last race of the weekend was the Pro Buggy a Main. Once again Fisher and Mazzara started 1-2 on the long back stretch. Just like in the Truggy main Fisher checked out with Mazzara trying to stay on the same lap ,but ended up a few laps behind after the final horn sounded. Mazzara was followed by Jay Cristiano 3rd, (CRC shauffer) Tom Firsching 4th and Carpet ace Paul Ciccarello rounded out the top five. 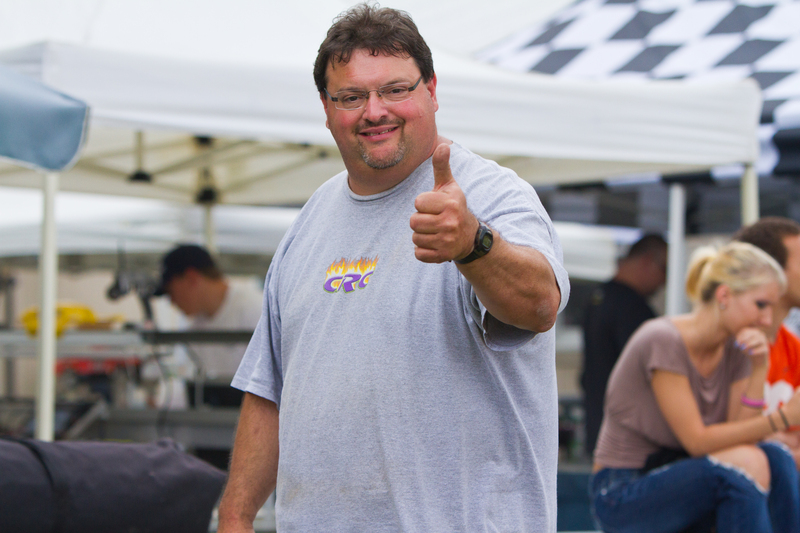 Race Promotor Frank Calandra Jr. finished i the sixth spot.